In yesterday’s post, I referred to these lovely little paintings on tea bags in the sun room of my writing house in Mineral Point. 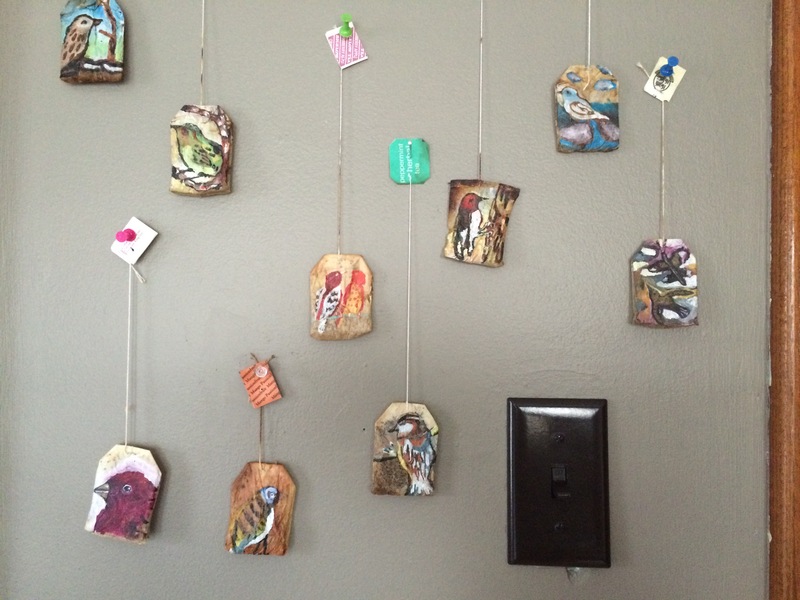 The tea bag paintings are by a local artist named Sandra Peterson. Georg would have loved these. I know I do. I am writing from 219 Washington Street, Mineral Point, Wisconsin. 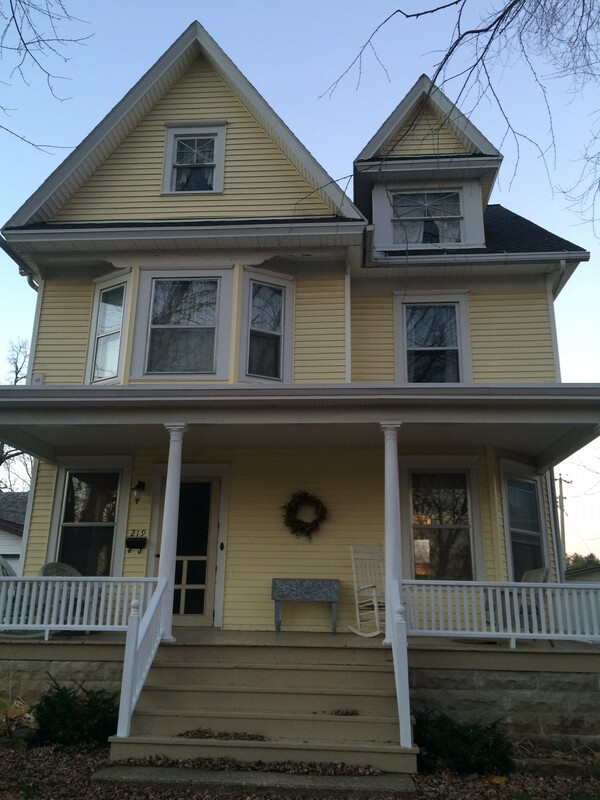 I am staying in the most lovely, cozy, inspiring place, a yellow house, well-suited to the task of writing. 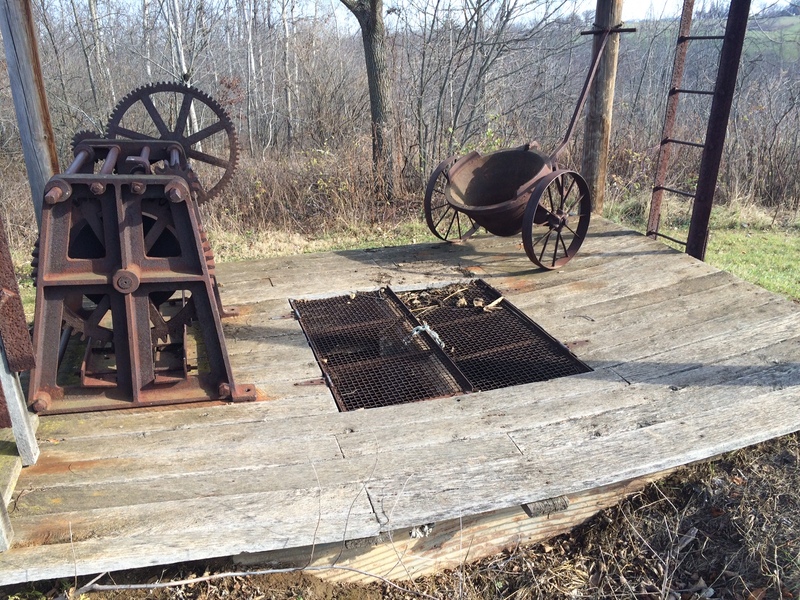 Mineral Point is located in what is known as the driftless area. Doesn’t that just sound so ruggedly dreamy? What it really means is that this region of southwestern Wisconsin (and some pieces of Minnesota, Iowa, and Illinois) all escaped glaciation in the last glacial period. In case you don’t know, glaciers, when they retreat, are notorious for leaving behind silt, clay, sand, gravel, and boulders. All this junk is collectively known as drift. What we have here is no drift, or in other words, driftless. There may be no drift out here, but there are hills. Lots and lots of them. In fact, the driftless area is characterized by deeply carved river valleys. And wherever there are valleys, hills seem to be not far behind. What all this amounts to for the average Joe person like me is delight in finding that the town is built on one steep hill after another. A girl can get a really good workout just walking into town in the morning to see what’s what. There is more to the hills than aerobics, however. In the 1830s and 40s, these hills were probed for their large and easily accessible amounts of lead and zinc. Hence the name, “Mineral” Point. This was a booming mining town up until 1849, when everyone turned their sights to California in search of gold. But, before that happened, loads of Cornish miners came here. In a hiking trail pamphlet I picked up at Merry Christmas Mine Hill, the miners from Cornwall are described as “some of the best hard-rock miners in the world, [who] arrived with knowledge accumulated through centuries of experience at deep shaft mining in their homeland.” Wow. Don’t you wonder how they knew to come here? Remember, this was way before text messaging and telephones. I guess someone wrote someone a letter and the rest was history. In fact, there is a sign in the town alerting us to the fact that Mineral Point is the place most like Cornwall in all the world, outside of Cornwall. I don’t know Cornwall, but apparently, I do now. I totally approve. The Cornish pasty I got from Red Rooster Café was delicious. They also make something called figgyhobbin (sweet pastry with raisins). Haven’t tried that yet. But I will. The house I am staying in is very comfortable and full of lovely creations made by its owner, Lisa Hay, who also owns a candy shop downtown called High Street Sweets. Lisa paints things and displays them throughout the house: chairs, vases, picture frames, toilet plungers, tea bags. Yes. Tea bags. There is a small display of teabag paintings in the sun room upstairs. Each bag has a distinctly beautiful miniature image of a bird painted on it. Brilliant. This residency was awarded to me by the Wisconsin Academy of Sciences, Arts and Letters for having won the Wisconsin People and Ideas poetry contest this summer. I want to thank the Academy for this wonderful gift. I have never won first place in anything (before this.) Don’t worry, though. I may be wandering the driftless, writing poetry, climbing hills, and craving figgyhobbin, but I won’t let any of it go to my head. Today’s post is in honor of my nephew, Kaleb Mazurek, a sophomore at Macalester College. Today is his 20th birthday. I remember when my sister and I pushed him along the streets of Chicago in his stroller and we stopped in a bakery that sold wedding cakes. He was about 18 months old. I remember thinking, “someday, we will be sharing a wedding cake in Kaleb’s honor.” That part of the story is yet to come. But that walk. I remember being on it like it just happened yesterday. 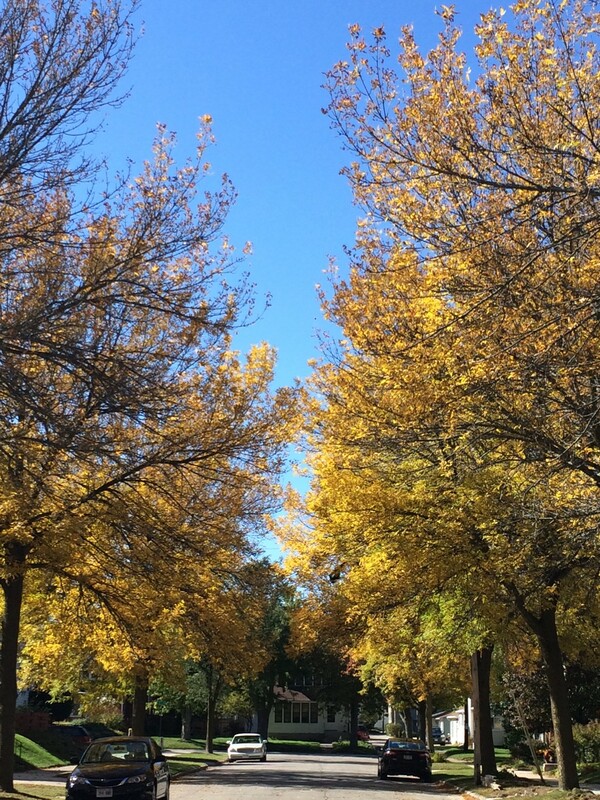 It is autumn now, full-on, screaming-orange-trees-against-burning-blue-sky autumn. Otherwise known in the vernacular as “fall,” the end of another year. Two years ago at this time, Georg, my dad, had just recently passed away after a long illness. All I could think about that autumn after he died was the irony of this season. 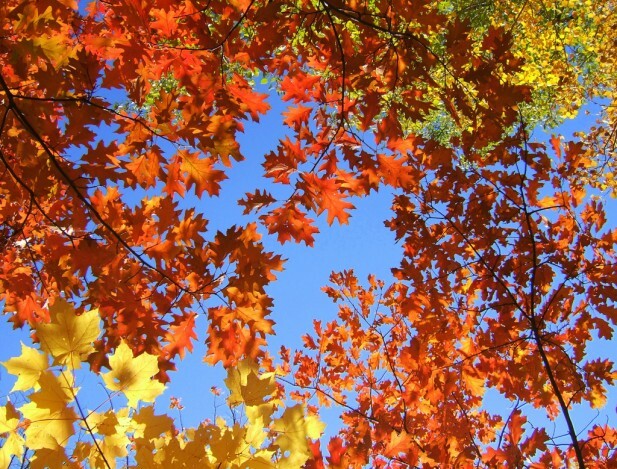 The most colorful and eye-catching season of the entire year. What is its purpose, autumn? Death. Fall is death. Everything is beautiful at this time of year because everything is dying. And yet, when the trees are going ballistic with color, going down in a blaze of glory before our very eyes, we are not sad for the trees. If anything, we are a little mad at them, because they drop all their leaves on our lawns and we have to spend hours every Sunday afternoon in between church and football raking them up. We may be mad at the trees, but we are not sad about their prospects. Perhaps we are not sad because we know the trees are coming back. We know that they will die now, for a while, but they will come back next spring, and next spring, and the spring after that and after that. The trees are so beautiful because we have seen them do this before and we know they will not fail us. They will never deny us the wonder of their fiery finale. 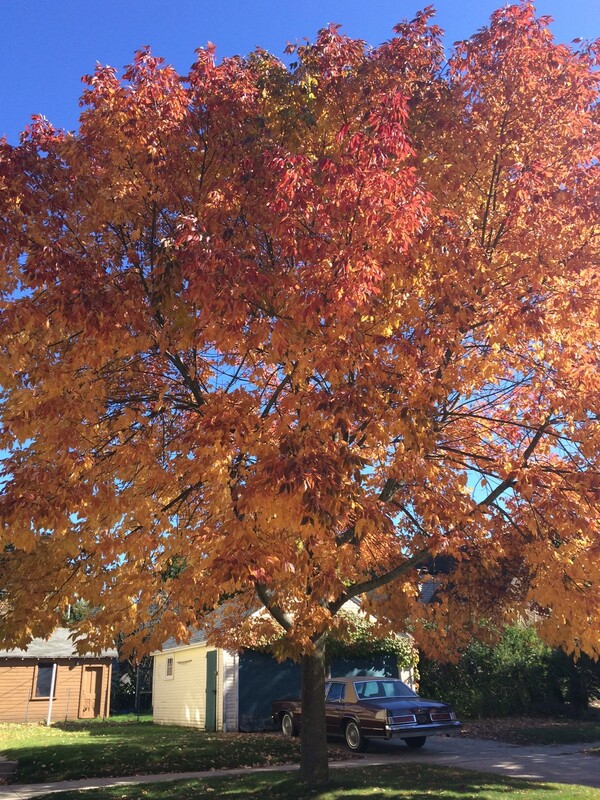 In my own little life, fifty-five times I have seen the trees go razor-sharp-yellow and burnt-orange-incandescent on me, and I never get tired of it. Their dying colors bring to mind happy times of jumping in leaf piles (a direct outcome of that annoying raking effort mentioned above), hot chocolate, pumpkin carving, candy, and the inevitable trudge toward Thanksgiving and Christmas. Trudge? Don’t I mean joyful leap? Yes, the joyful leap toward the holidays of winter. This is what the dying trees signal for me. There is a lesson here. Georg died. His physical being will never walk on the earth again. He is gone, but he is really still here because he left his art, his friends, his ideas, his children, and his grandchildren. Each of us leaves something behind that will keep returning. Anyone we ever helped, ever taught, ever listened to, ever smiled at. Every song we ever sang, every shoe we ever tied, every book we ever shared. Like the dying leaves, we hang on until we can’t hang on anymore. Then, we die. But guess what? We come back. We don’t look the same, but we do come back in a myriad of unexpected ways. 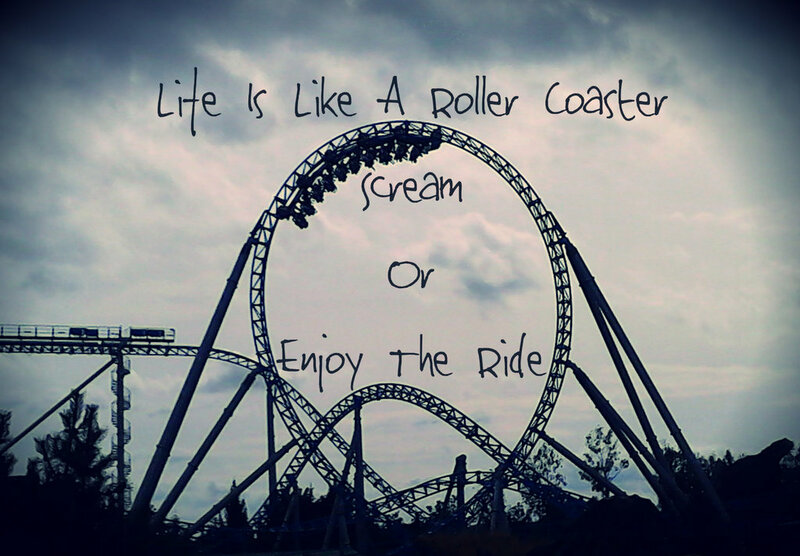 That is how life seems to work. I will end with one of my most favorite poems. I have quoted it numerous times in other blogs, other places. It is by Gerard Manley Hopkins (1844-1989). Word for word, I can’t claim to understand it, but taken as a whole, I love what I think he is saying: That we all grieve our own short lives. Especially in autumn. This last week was very hard for me. After my profound awareness involving stick charts and their usefulness in navigating the metaphorical ocean swells of existence, I descended into the pit of despair for a while. Everything in my world felt uncertain, shaky, impermanent, and unpredictable. Hey Lady, welcome to Life! I am back on a slightly better track today. 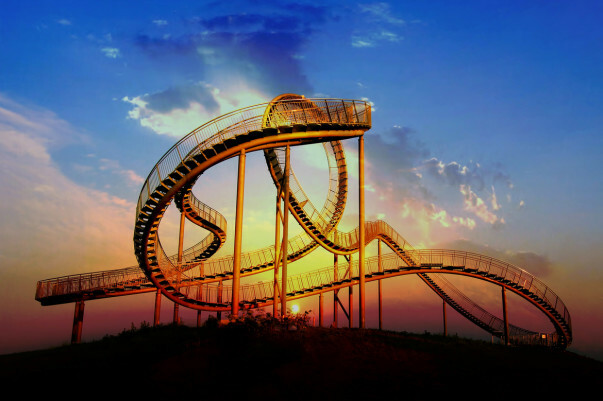 The roller coaster is heading up, once again. There are good things coming (like payment for work done) and feedback from my editors on what they need from me. 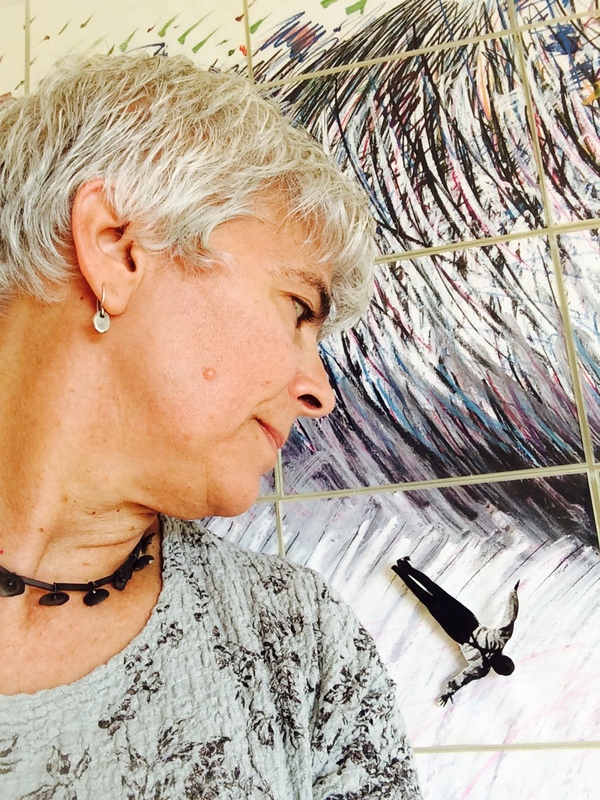 My friend, Laura Shovan, posted one of my poems on her blog, Author Amok, in the company of some other really great poets. The theme is “children growing up and leaving home.” As you know, this is a topic near and dear to my heart. It is also my birthday weekend coming up and I will have a chance to celebrate. This is all beyond good and I am truly grateful. Yeah, well. The really interesting thing is that tomorrow, September 5, 2015 I will be 55 years old. Now, I was too young to celebrate my Golden Birthday (five on the fifth) back in 1965. For one thing, I was just too little, I didn’t know what 5 was, let alone a Golden Birthday. However, I’m pretty sure I had a fever that day and my party had to be cancelled. I do remember being rather upset about this, so clearly, I had some notion of what a “birthday” was. Birthday = cake and presents! Secondly, I’m not convinced that the concept of “Golden Birthday” existed fifty years ago. If someone knows when this notion first came into common usage, please speak up. So check it out. I will 55 on the 5th in the year 2015. Notice the gathering of “fives” there. I figure this amounts to some kind of triple whammy of greatness. (I know, there are really four fives there, but one of them is my birth date. The other three are the magical part.) A trifecta of fives. Maybe I will get bumped into the Platinum Birthday Club? Who knows? I’ll find out. Now, where’s that roller coaster? I think it is safe to say I am no longer unemployed. I may not have a “job” according to my narrow and traditional definition of “job,” but I have plenty of work all of a sudden. I am spending most of my waking moments working on one of three writing projects and all of them will pay me soon enough. I even have a fourth one on the way for September. Wow. How did this happen? So far, every “traditional” job I have sought out—meaning, one with benefits and an 8-5 schedule—has determined that I am not the right candidate for the job. I have to ask, is the Universe trying to tell me something? Perhaps I am being called to stay agile and flexible, to hop from job to job to job, learning new things and putting my writing abilities to good use wherever they may be needed. What would Georg say? He would be all over this. He would be thrilled to see me going off grid with a purpose. One of my writing jobs is preparing the AP Art history study guide for an online high school resource called Shmoop. Yes. Shmoop. Their tagline is: “We speak student.” I have just spent the last three days immersed in the arts of the Pacific Islands. I learned a lot about a lot of things I had never heard of before. 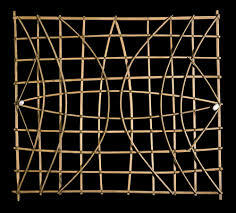 One extremely compelling thing I learned about is something called a Navigation Chart, or a Stick Chart. 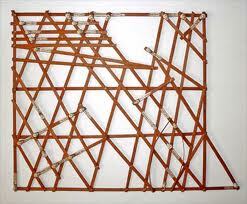 These charts were made in the late 19th and early 20th centuries by navigators of ocean canoes in the Marshall Islands. 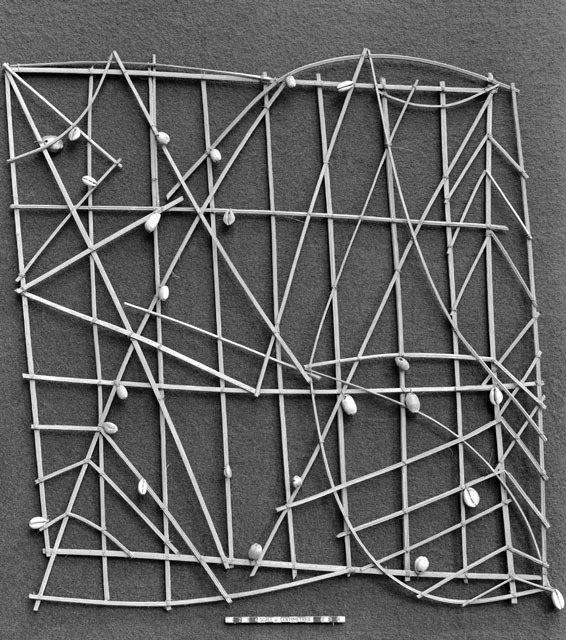 The chart is made using the “midribs” of palm fronds, and these sticks are lashed together in an open framework to represent the movement of wave swells in a given section of the ocean. Cowrie shells are attached in the appropriate spots to represent islands. The lines of the sticks show the movement of the swells between the islands. 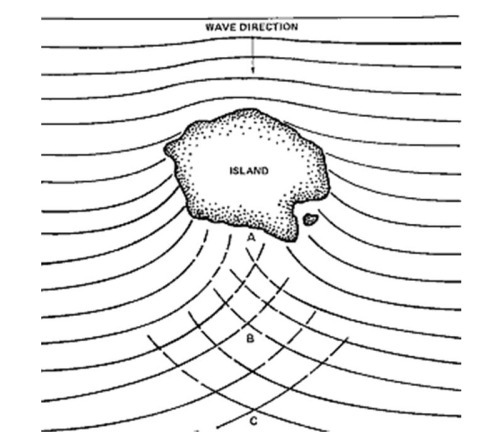 The swells are interrupted by the islands and then met by counter swells coming from the other side of the land mass. The part of the island under the water also affects the movement of the swells. It is important for the occupants of a little tiny canoe to know where the swells are headed so that little tiny canoe does not go off course in the endless sea. This is crucial. 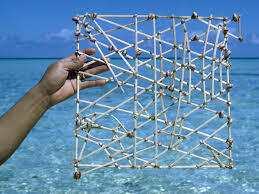 The stick charts are so unique to their makers, the only person who can read a stick chart is the navigator who made it. And unlike other kinds of maps that generally go along on a journey to guide the way, stick charts don’t come on the boat. The navigator memorizes the chart and then will spend a lot of the journey crouching or laying down in the canoe to better attune him (or her) self to the pitch and roll of the swells. By combining body sensation with memory, the navigator can instruct the oarsmen to steer the vessel where it is supposed to go and back again. This is amazing, if you ask me. I feel like one of these dudes in the bottom of the canoe. I am trying to stay in touch with the swells as they rise and fall. I am working on using all my past experience to guide me into this uncertain future. I know I will go somewhere, and I know I will come back again. All I need is my canoe, my stick chart, my laptop, and maybe some nice fresh vegetables from the farmers’ market. I made the most delicious ratatouille yesterday. It involved the frying of onions, of course. That is one of the perks of working from home. Midday cooking breaks, and that lovely smell of fried onions. I highly recommend this. Georg would too. Oh, and chocolate. Let us not forget chocolate as we navigate our way into the unknown. 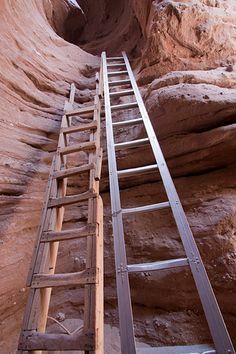 Having lost my job, I feel as though my normal ladder has been temporarily pulled out from under me. I feel I must approach the search on many fronts at once. I need Plans B through H—lined up and ready to implement—so that I won’t find myself with no cash flow in a few weeks. There are all kinds of things I can fill my day with: writing (poetry, novels-in-progress, blogs), reading, editing the literary journal I helped to found, exercising, cooking, making collage art. Unfortunately, none of these fulfilling and engaging activities bring in any money. Without money, well, then what? All the sages tell us to “Trust in the Universe,” and that “God will provide.” I really want to believe this, mainly so that I can forget about using every spare waking minute of my day to hunt down a new job. It would be beyond refreshing to focus myself instead on my many creative endeavors. (See previous paragraph.) But, this would be insane. I cannot function without money flowing in, health insurance, and a growing retirement fund. Can I? Looking for a job in the second decade of the 21st century is nothing like it used to be, even eight years ago. Everything is done digitally now. Even your resume is first viewed by a computer that looks for keywords. A pair of eyes will look for an average of 30 seconds, so you darn well better stand out. Yeah, I can build teams and project manage with the best of them. Furthermore, now we have LinkedIn. You need to have a presence there. You need to present yourself as a mover and shaker in whatever world you plan to operate in. You need to know what you are offering the world. Maybe this was always required when searching for a new job. It just feels different now. What I am learning is that it is about marketing one’s skills; not giving a long boring list of historic activity. Employers want to know what you can provide in the here and now with specific measures of past success. Well, actually, I don’t know what employers want. I just know who I am, most of the time. I am trying to articulate this in more “up-to-date” language and formats. I am learning how to market myself. I was slightly heartened to read on the Web, of course, that the final point of a four-point tip list for preparing your resume in the digital age offered this nugget: “Networking is still the bottom line.” Whew. Okay. I do have some good luck with meeting and talking to people. I am glad human contact has not yet left us. We do have to work with people, not computers. I mean, at least I think so. Ach. Who knows? In doing all this “re-branding” of myself, I’ve also had some new awareness about the significance of the garbage can that I keep referring to, the one that sits at the top of the hill where my morning run ends. The can is just an object to run toward in the physical world. As far as metaphors go, the garbage is what I need to get past. It is the junk that is inside me; all my old assumptions about myself that say, “I’m not good at this,” or “I don’t know nuthin’ about that.” Those are old tapes, and they definitely don’t serve me, especially not now. When there is so much that I am really good at, and so much that I do know, why would I focus on a negative view of myself? I don’t need a new me. I need a new ladder, that’s all. One that is genuine to me, one that leans against a structure I can believe in, count on. And so, onward. Plan H, here I come. I leave behind all the old garbage, bringing my own ladder with me. Heck, I’ll even run up the hill with it, if anyone thinks that might help. 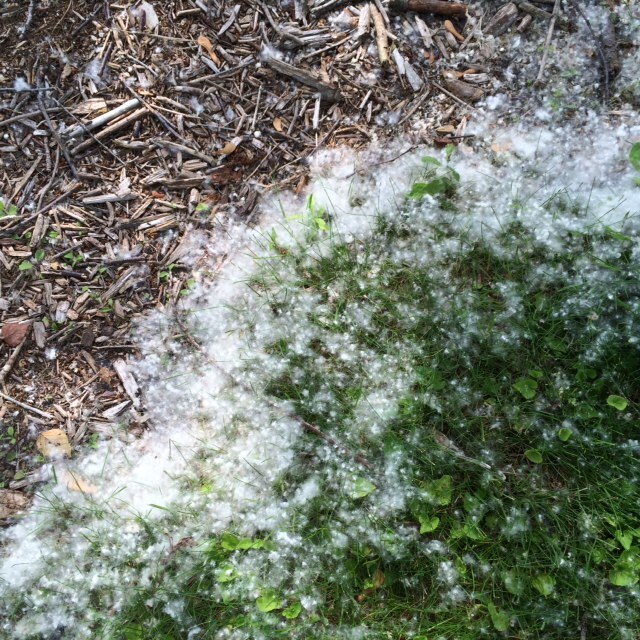 Is it just me or is there a plethora of dandelion fluff in the air these days? There seems to be more than usual. 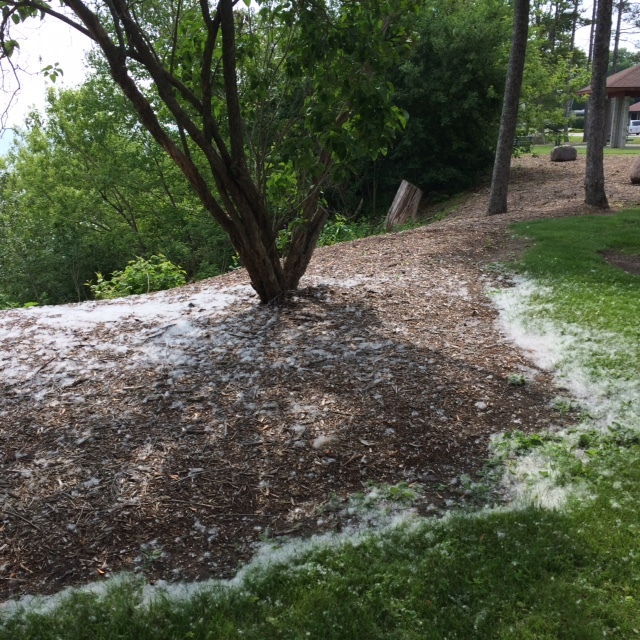 When I was running this morning, it was everywhere, floating on the air like snow. I was struck by how the fluff does not ask where the wind is carrying it. It doesn’t worry about getting planted somewhere.The fluff is confident it will blossom into a bright yellow dandelion soon enough. It asks no questions. It just goes. I am reminded of my job search, and how I need to just keep going forward with it. Recently, I had a couple really interesting prospects, but both of those employers have passed on me. I was sad about this for approximately four minutes, and then I decided I had to get right back on the proverbial horse and keep looking. Lord knows, I have learned how to deal with rejection by sending out my poetry. I have learned that being rejected does not mean I am not worthy. It just means that that was not the right publication for my poem, or the right job for me. Something better is out there yet. I just have to find it. In the last 24 hours, I have revamped my entire resume and also started to build a website devoted to all my various accomplishments as a writer. I’ve started the application process at a temp agency. I’ve opened up some leads related to using poetry as a means for growth and healing (more on this later, should it actually pan out.) I have a writing test to take that might set up me up to write for an online educational resource for high school students. I’m really excited about that one. Truth be told, I’m enthusiastic about all of it. I’ve gone from yesterday’s rejections to a whole new array of potentialities. This is kind of envigorating. Ask me again in a week. This whole thing is a roller coaster ride for sure. I know I will feel better about being in “exploration mode” if I can get some temp jobs going. That will really help. It is Wednesday, not Thursday. Usually, I am internally nudged to write on Thursday, because that is the day that Georg died. As you know, I like to write in his memory. This week, too much is happening to wait until Thursday. I think I am transitioning out of the world of grief over his passing into a new world where I find he is eternally present. He is present when I catch a glimpse of the lake in all its blue glory. He is present when I have friends over for a meal that I have prepared for them, or in the taste of certain foods, like a dish made with zucchini, tomato sauce, and a bit of cinnamon. He is present in the feather on the ground by my car. He is, as he always has been, everywhere. Heck, he could very well be in the dandelion fluff. Maybe that is why there is so much of it this year, to remind me that his love is boundless and his creative energy is truly everywhere, just waiting for me to gather it up and share it with the world. It’s Thursday, and for those of you have been reading for a while, you know what that means. For those of you who don’t, it means this is the day when I think of Georg, my dad, the man who is responsible for my presence on this earth. Let us not forget Rosanne, my mother. It takes two people to make a person, and they are the two who made me. I love them, both. I am thinking of Georg in particular today because I have a job interview that I’m pretty excited about. Okay, nervous. I won’t go into detail yet. Let’s just say, this could be a very cool job to have. My mom called me this morning and we agreed I will stop at her house on the way to the interview so she can give me a good luck hug. Thank God for good luck hugs from mothers. I know that not everyone still has the luxury of their mother, and for this I am grateful. Recently, I have been running for exercise, and I created this incentive plan for myself to “run to the garbage can and you will get the best job ever.” This is because the particular garbage can in question happens to be at the top of a long hill. This morning, I have a very sore back because I had to do some heavy lifting recently at Georg’s storage space. We had a flood on Monday, the day of the deluge here in Sheboygan. Nothing was irreparably damaged. Thank God, and Amy, who works in the embroidery shop across the hall in the basement area at EBCO building where Georg’s stuff is stored. If not for Amy sounding the alarm and calling Tim, who then called me, many things would have sat in water for a lot longer than they did. Like I said, Thank God for Amy. 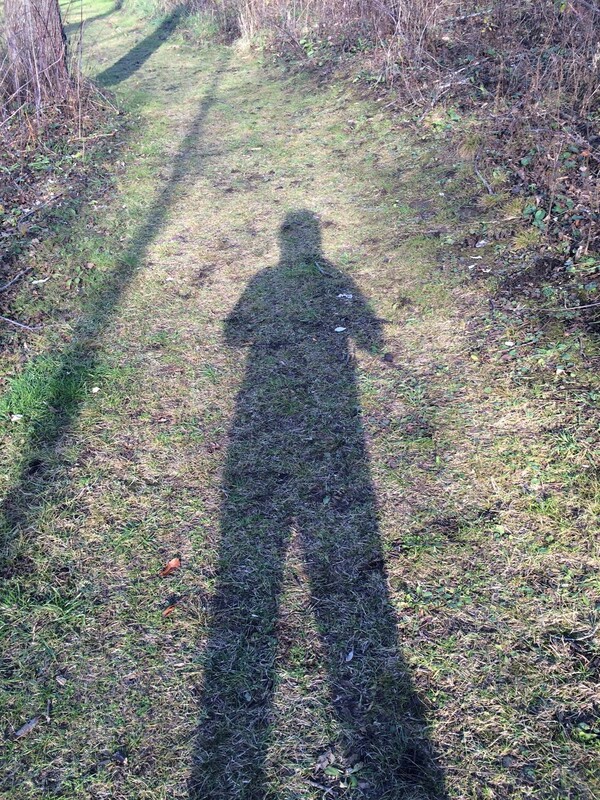 Because of my sore back, I could not run today, but I could do a rigorous walk. So I rigorously walked up my hill, all the way to my garbage can. I realize it is not the garbage can itself that is the talisman here. It is the effort and determination to walk up the hill. One does not always know what will be at the top, but one must go anyway. Yes, indeed. Onward into the unknown, which is pretty much how it should be everyday. New people, new jobs, new adventures. Happy Thursday, Dad. You went into the unknown with no fear, and I love you for that and so much more. See you at the top of the hill. But, seriously. None of it is to be taken literally, right? It’s all just a motivational trick. Stay positive, and positive things will happen. Trick or Truth? I’m beginning to see that staying positive even through the most difficult and frustrating of times is truly beneficial. First of all, you feel better. I mean, if the situation is crappy, whatever it is, why on earth would you add to the crappiness by exhibiting a foul mood? Lighten up! The opposite of crappy is happy. Just go there. It truly can be done. Secondly, when you are positive, you literally do attract more positive things to yourself. It is proven fact (somewhere) that negativity begets only more negativity. I am not saying anything new here. This “law of attraction” thing is all over the Internet. Google it. I just did. You will be amazed by the plethora of information on this topic. The bottom line: you get what you give. Give more, you get more. It is truly true. He will write you back and tell you whatever you need to hear. 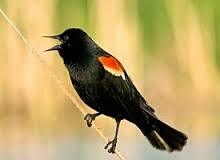 Like the other birds, his days are spent eating, singing, hopping around, and then flying. Lots and lots of flying. He is never negative. How can he be? He is a bird. Let us strive to be more like him. I detoured this morning from my usual running path along the shoreline of Lake Michigan and headed down the long sidewalk that goes out to North Point lighthouse. I felt like I was running right into the lake. I have felt like that a lot lately, as I was recently downsized out of a job that I love. These things happen. It is like getting dumped by a lover. You want to hate the dumper, but you still cherish great memories of times gone by and you harbor many things that you love about the person. Or the institution. Moving on. So there I was running into the lake, so to speak, and I came to the place where it gets too rocky to keep going and I noticed that there was a conveniently level, smooth patch of cement, and this cement patch was perfectly aligned with the 6:30 a.m. sun. The cement patch screamed out to me, “Sun Salute!” So I took my key out of my pocket so it wouldn’t fly out and land somewhere I would regret and I did a yogic sun salute. If you have taken any yoga class worth its salt, you have done the sequence of poses. It is an envigorating series of movements and I had never done the sequence outside. It is especially nice to do it right under the brilliant eye of the sun. I ask you, when was the last time you thanked the sun for getting up every day and giving us this amazing world, flawed as it is at times? Seriously. You should try this. 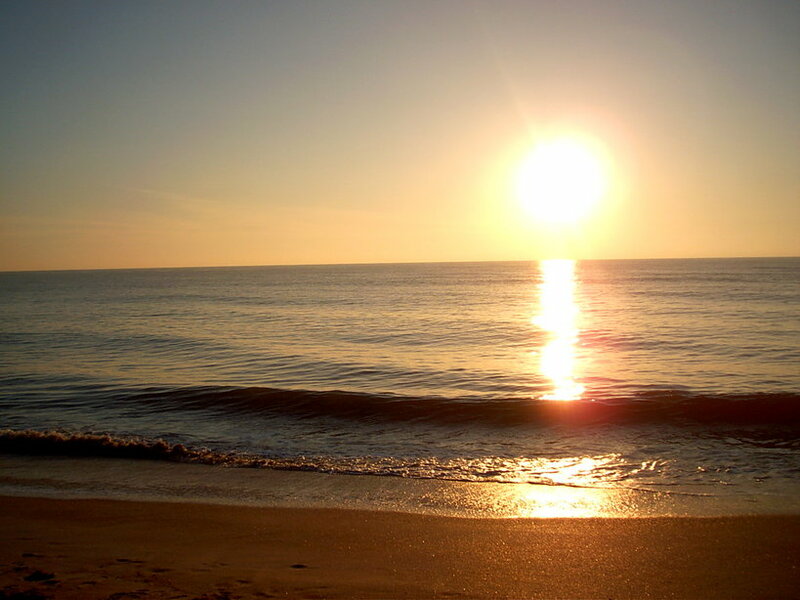 Try thanking the sun, the next time you see it. I don’t know. It worked for me. I mean, it made me feel like today is going to be a very fine day. At the end of my run, there is a mildly steep hill. Mildly steep, but quite long. In fact, I wrote about running up this hill in my previous post. 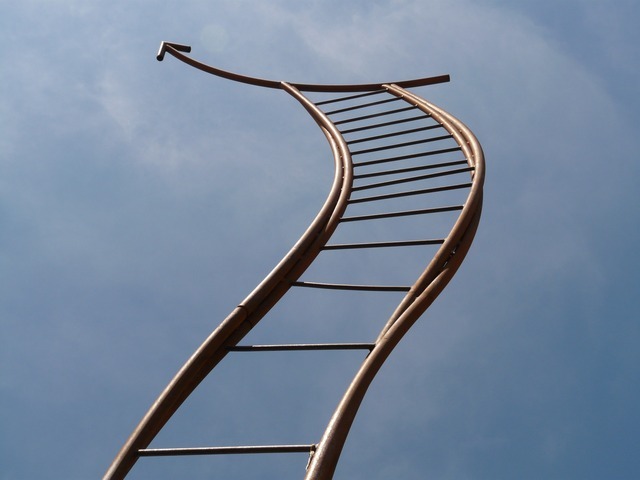 Often times, I stop running at the bottom and just walk (vigorously) up. It is hard to run up this hill after a half hour of exertion. But today, I thought, I am going to run up this damn hill. So I did. I could see the garbage can that is at the top, and I said to myself, “If you don’t give up, if you make it all the way to the garbage can, you will get the best job ever.” This gave me encouragement, and I actually ran a little harder. “Run to the garbage can and you will get the best job ever!” How’s that for a mantra of success? I made it to the garbage can. I was out of breath, my heart was pounding. But, I made it. You know, we do whatever it takes to work through life’s little challenges. Morning runs, sun salutes, down-sized jobs, steep hills, garbage cans. A friend of mine from Malawi gave me a good thought the other day. He said, “In all things, be thankful.” To that, I salute. Onward to that great new job.